Our 18-week Signature Training Program offers programming for walkers to beginning runners to experienced runners. We offer classes with cardiovascular interval training for all levels concluding with strength training, stretching and education. Our Learn to Run program will help you safely build up to your first 5k race. Walkers and experienced runners, will be encouraged to follow an interval training schedule designed to maximize your fitness levels. We also offer weekly steady paced cardio classes designed to help build endurance and offer an option to increasing mileage. All options include a t-shirt or tank! (See below if you want to order an additional tank/tee or long sleeve shirt.) 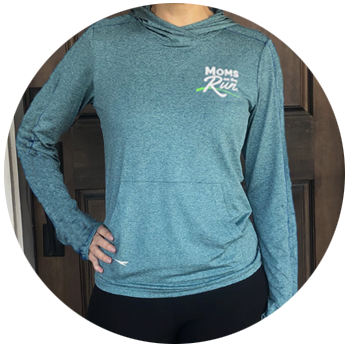 If you would prefer to pay by check email westfargo@momsontherun.com. Attend 1 interval training session a week with an add-on endurance run. Attend up to 20 classes during the 18 week program. Choose any combo of classes. PullOver - $42 - special registration price! Our weekly steady paced cardio workouts give our participants an option to build endurance and either add in an additional interval workout or increase mileage as they train for a 10K, half marathon or beyond. 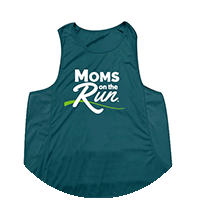 I purchased the West Fargo Moms on the Run franchise in January 2018 after having been a member since 2014. I had never run prior to joining that first spring season and I was terrified, but joining this amazing group of ladies has changed my life and I will be forever grateful. Since then I have ran several 5K's, 10K's, 7 half marathons and my first marathon in September 2018. I am truly amazed and inspired by the women I have met through this program. I have thoroughly enjoyed watching new friendships form and grow. In a culture where we are often too busy to connect and take time for ourselves, we are doing just that while getting a workout in at the same time.